While the bone-chilling cold became the formidable adversary in the Frisco Cross women’s open race yesterday, the men’s prime adversary appeared in the shape of Chris Baddick (Gear Movement Pro Cycling Team). The British rider won by 23 seconds over Ken Benesh (Evol Foods) after racing at the front of the field for sixty minutes at an elevation above 9,000 feet (2,743 meters) in the Colorado Rocky Mountains. 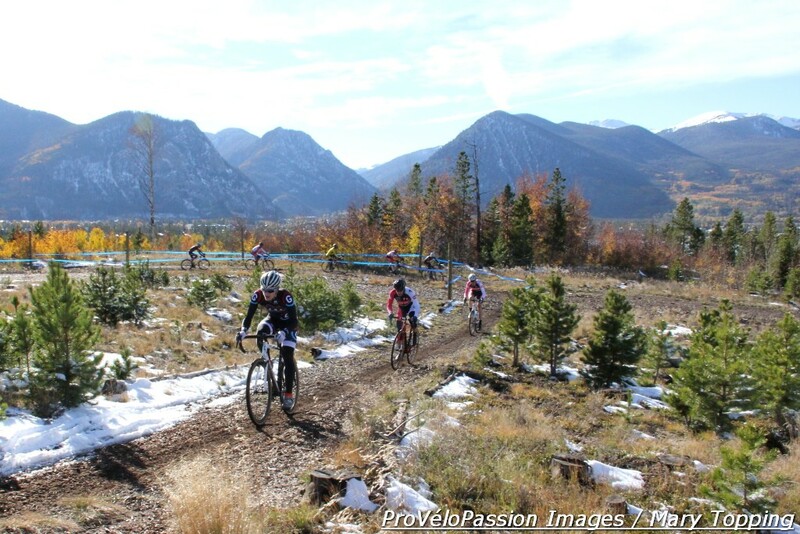 The Evol Foods Elite Racing Team made a strong showing with three riders finishing in the top ten. But Baddick said he does feel the altitude; he’s just found a way to manage it. “…I have to rely on sustained power rather than short sprints,” he wrote after returning from doping control procedures on Saturday evening. “The course really suited a mountain biker, with the big climb and a steep descent…I felt super smooth on my cross bike; the first time I’ve felt good on that bike this season.” Baddick rode on a Cannondale CAAD10. Benesh and teammate Josh Whitney were also chosen for drug testing after the Frisco event. Baddick attributed his current fitness to the time and effort he’s dedicating to training for the mountain biking collegiate nationals which take place the end of this month. 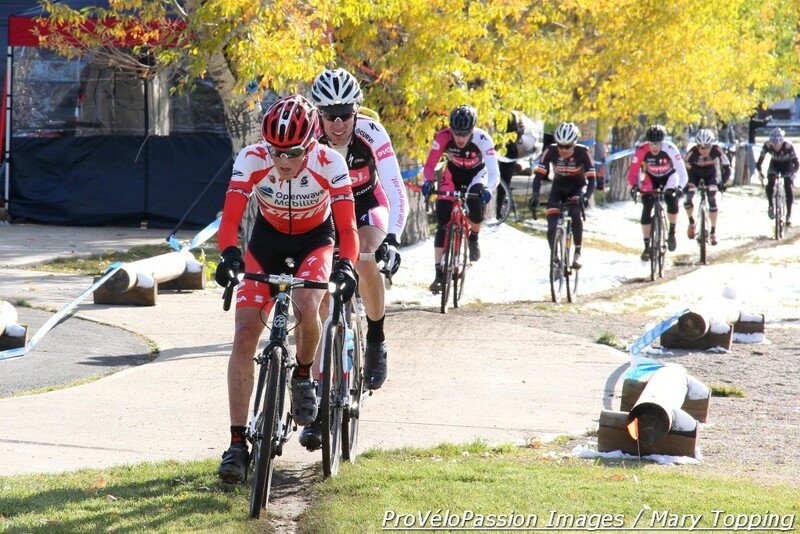 Preparing for that event has siphoned time away from riding his ‘cross bike; Frisco was his third ‘cross race this season. He wanted to do well there, he wrote, to build confidence going into next weekend’s Boulder Cup where he’d like to capture a good result. 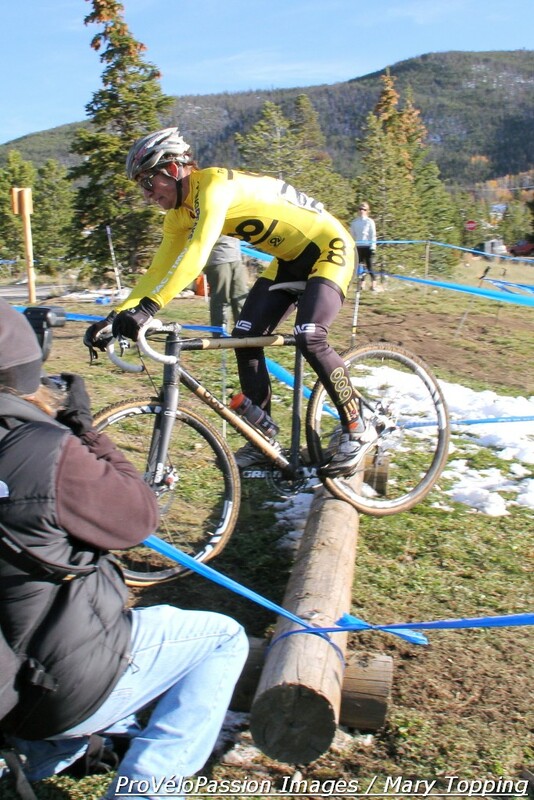 At age 21 Skyler Trujillo, riding for Nick Frey’s Boo Bicycles, is a former world cyclocross championships participant. He earned third place on the day. Trujillo also earned the spectators’ admiration by hopping over the barriers. He later said he performs well at altitude as he’s raced at high elevations since the age of twelve. Even so, he didn’t have huge expectations coming into Saturday’s contest; his cyclocross season is just getting underway. Baddick led the pack as it left the long paved climb and turned onto dirt, followed by Evol’s Spencer Powlison. By lap three Baddick established a gap that he held and extended. Benesh and subsequently junior Gage Hecht (Team Specialized) led the chase group behind Baddick. Trujillo pedaled a few bike lengths later. Boulder Cycle Sport’s Brandon Dwight and Chris Case and Evol’s Whitney followed. With about four laps of the eight total remaining Benesh moved into a clear second position on course. Case, who won the Cyclo-X race last Sunday, finished fourth. To maximize his chances for a high place he had to find a way to mitigate the Evol team’s strength. “I didn’t want Josh Whitney to get in front of me and slow down to let Ken [Benesh] get away even farther,” he said, “so I would kind of sit back on this climb but at the top I’d make sure to get in front of them.” And like Baddick, Case said he’d rather pick his own line through the ruts that had formed on course as the ground warmed up under the sunny skies that had replaced the early morning clouds and snow flurries of the women’s open race. In the final laps the top ten sorted itself out as Trujillo moved up into third position. Hecht and Dwight drifted back in position; the former made a bike change and the latter slipped on the run-up. Whitney, Steven Stefko (Fort Collins Cycling Team), Powlison who had worked earlier for Benesh, and Jon Tarkington (Natural Grocers) also finished in the top ten, a result Trujillo had set as a preliminary goal before the race. Case on the other hand didn’t feel great yesterday. “I didn’t feel terrible, but I just didn’t find a good rhythm…” he said. It was hard to pin down the reason. Maybe the long drive through the snow the night before left him tired. Or maybe the altitude was having its way with him. However yesterday the chasers seemed to breathe harder at Frisco Cross than the lead guy. Baddick has lived in Boulder, Colorado at about 5,450 feet (1,661 meters) elevation for approximately three years following a study abroad period there in 2008. 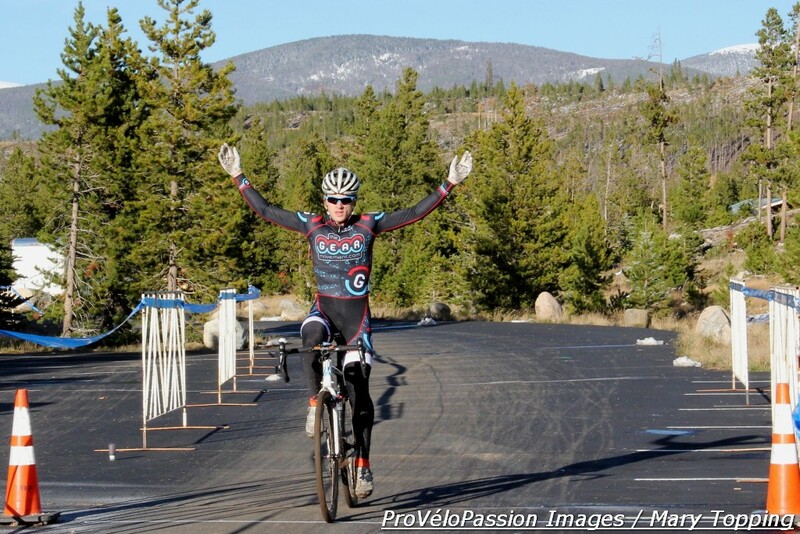 In 2010 he started to race bikes “seriously” and he’s currently studying for a Ph.D.
Find full Frisco Cross results on the Bicycle Racing Association of Colorado’s website.